Can it be that Summer is coming to an end? Where did it go? Are the leaves of my geranium already turning red? Are those flecks of gold I see on the green mountain side? No, they can't be . . . Yet there is a definite chill in the morning air now, and I find myself waking under the layers of blankets which, just two weeks ago, were kicked onto the floor. I lost myself in melancholy this morning as I drove away from Connor's school after dropping him off for his second day of first grade. Like the strawberry popsicles my kids enjoyed so much in July, summer is gone before we've finished. Melted away under the hot, late August sun. We are racing headlong into fall, but I'm not ready for summer to end. My Sweet Eve will start preschool in just a few weeks - can you believe it? - but that doesn't mean we will forgo our traditional Tuesday mother-daughter dates. On the contrary, they will become all the more precious. You may remember me telling you about our coffee dates, and the special treat that went along with them. 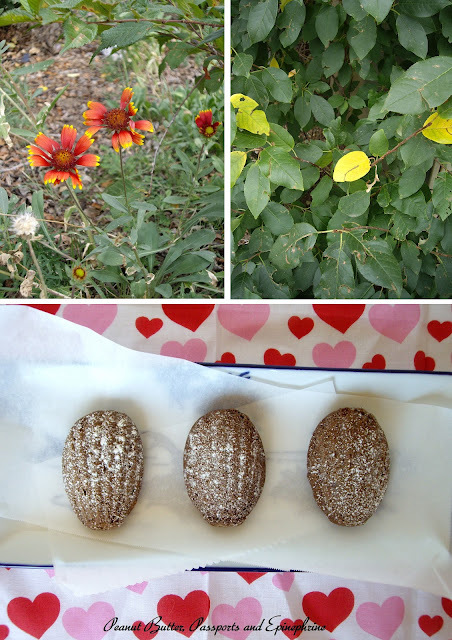 Well, in the spirit fall, and of changing seasons, changing leaves, changing schedules, I decided to revisit my old Madeleine recipe and change it into an all new Gluten-Free, Nut-Free Chocolate Madeleine for the year ahead. Nothing like a good dose of chocolate to cure a bad case of melancholia. Of course, I'll still make her favourite Raspberry Madeleines, but it's nice to have a little variety. Who knows, maybe someday I'll combine the two and create a Raspberry Chocolate Gluten-Free, Nut-Free Madeleine. Now that's an idea! 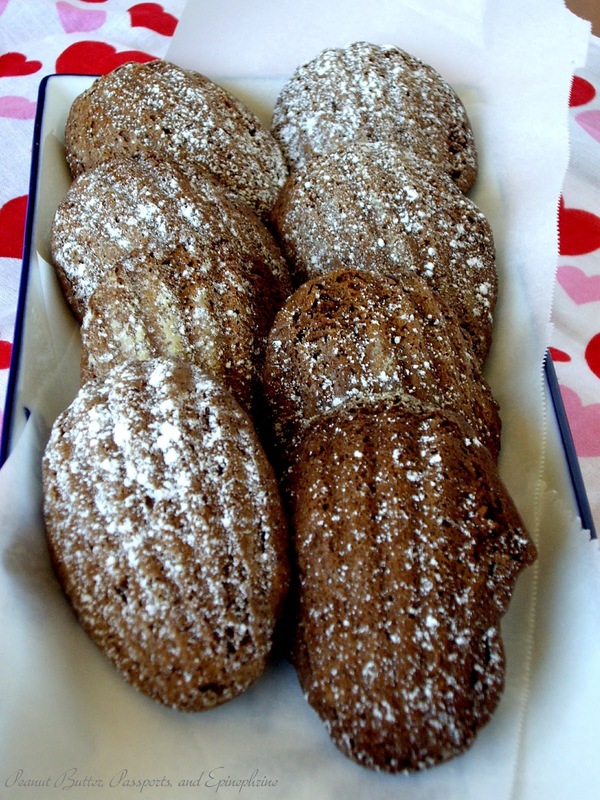 These Madeleines are deep dark and rich, like a gâteau au chocolat. And only slightly sweet because, you know me, I don't like my desserts saccharinely sweet. Feel free to add an extra tablespoon or two of sugar if you like it sweeter. Enjoy! Preheat your oven to 375 F (190 C). With a pastry brush and a little melted butter, grease the Madeleine pan. 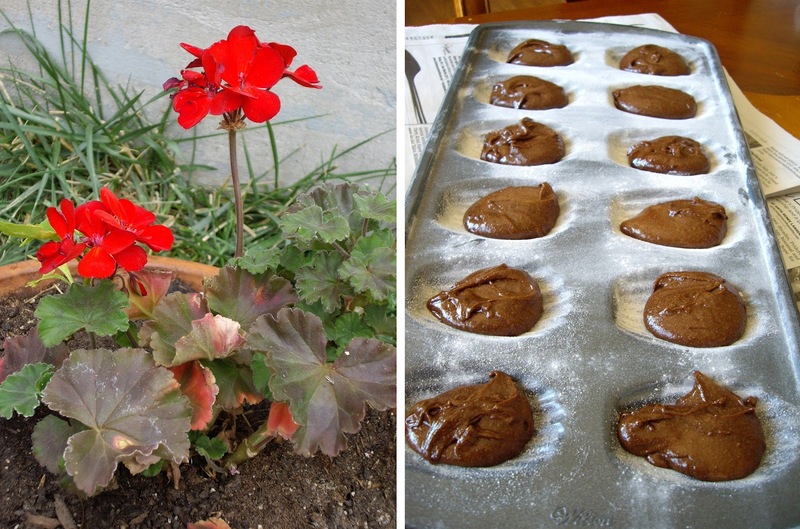 Dust the pan with a little of the gluten-free baking mix. Set the pan aside. Melt the butter and chocolate together and whisk until smooth. Set aside to cool slightly. In a large bowl beat the sugar and eggs until well combined. Add the vanilla, cinnamon, and salt. Slowly beat in the gluten-free baking mix. Now, slowly add the chocolate and butter and beat until well combined. Place one tablespoon of batter into each mold, being careful not to overfill the molds. Bake for 13 - 14 minutes, until firm and the edges and slightly crisp. Allow to cool for a few minutes before removing from the pan. Just before serving dust with a little confectioner's sugar. What a pleasant way to describe these treats!! I'm waiting for the raspberry ones! :) Thanks for linking to Foodtastic Friday. Thanks! Here's a link to the Raspberry ones. Maybe I'll link them up next week. Oh my...these would go wonderfully with my coffee this morning! 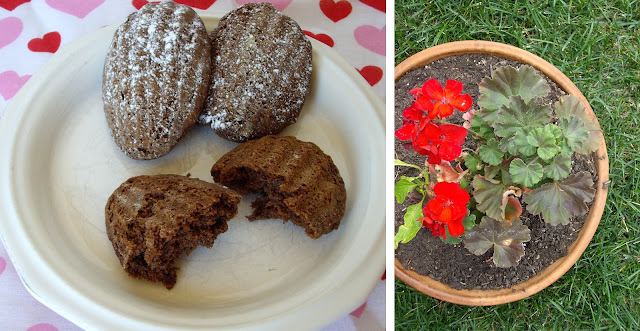 I would like to invite you to share in our linky here: http://allergiesandceliac.com/?p=258 We have gluten and/or allergy free along with Vegan recipes shared each week. Feel free to join in if you are interested :) Have a great week and thank you for sharing! Thanks Mary! I'd love to share this at your link-up. Thanks for inviting me! These are so lovely! What a delightful dessert! Those look beautiful! Thanks for sharing! Thank you Alea and Penniless Parenting!